GallowayTwpNews.com has obtained through Open Public Records Requests, Personnel Action forms on various employees from January 2013 to May 2013. The personnel action forms contain Raises, Promotions, New Hires, Resignations, Retirements and Transfers. Over the past three (3) years the Township has faced a budgetary downfall that has resulted in Layoffs, Retirements and forced Furloughs. The Township during their Budget Presentation this year praised Township Manager Arch Liston for presenting a balanced budget with no gimmicks. The gimmicks previously used as described by multiple council members, was the utilization of deferred school tax to supplement the budget. The Township didn't even have that gimmick option available to them this year, therefore in our opinion, the Township had no choice but to present a gimmick free balanced budget. There was no longer a can available to be kicked down the road. With that newly balanced budget, the Township has now started to spend money on certain employment positions and employees by offering raises and in some cases incentives. We have highlighted some of those below. New Hire: Matthew Ayers, Deputy Director of Public Works - Started on May 11, 2013 with a salary of $67,500. Ayers will also receive an additional $1,800 per year for the added position of "Safety Officer". Ayers, who was an employee with the Township previously, then left, and is now back with the Township at a starting Vacation Time at the rate of employee who has already served 10 years. Jim Brennenstuhl, Part Time Special Assistant to the Township Manager - Started on February 19, 2013 at a rate of $25.00 per hour. No other information or explanation of Personnel Action was provided on the form. Louis Miranda III, Mechanic - Started February 11, 2013 at a Part Time rate of $10.00 per hour. Matthew Cassel, Mechanic - Started January 2, 2013 at a Part Time rate of $10.00 per hour. Kenneth Keefrider, Mechanic - Started Janaury 2, 2013 at a Part Time rate of $23.00 per hour. Ray Guerra, Foreman Road Division - As of May 6, 2013 a salary increase to a new salary of $51,332.64. This increase puts Guerra's salary above his subordinate. Gary Dooner Sr., Road Division, Acting Foreman - As of May 6, 2013, Dooner Sr., was promoted to Assistant Foreman with a new salary increased to $41,000. Paul Gras III, Assistant Foreman - As of April 29, 2013, Gras III was promoted to Assistant Forman with a new salary increased to $41,000. Kelli Danieli, Deputy Township Clerk - As of April 29, 2013, a salary increase of $1,000 for passing a Municipal Clerk's Class of Advanced Duties. This is the second salary increase Danieli has received in the past year. Other personnel actions forms as released by the Township are provided below. Those forms of which some consist of retirements and promotions within the Police Department have been previously reported on. The Police Department and the Public Works Department have been two of the biggest departments over the past year that have been hit significantly hard with an abundance of retirements and voluntarily layoffs. Now those departments this year are seeing an increase of Promotions and Raises to various employees. According to one employee, Local 676 Union which represents non-supervisory employees in the Public Works Department has been attempting to negotiate their already expired contract with Township Manager Arch Liston. The Union in an attempt to negotiate in good faith requested a 2% raise for those employees. Those employees have not received a raise for about three (3) years, stated the employee. According to the employee, Liston did not only refuse to agree to the 2% raise but he also refused to negotiate their expired contract until July 2013. That refusal, according to the employee, has now lead the Union Local 676 to file a grievance against the Township for failure to negotiate in good faith. 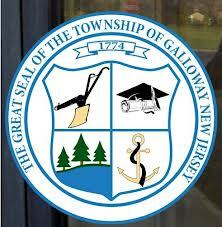 GallowayTwpNews.com will continue to report on the outcome of this negotiation, as well the negotiations with other Unions within the Township who also have contracts that are set to expire. With the Township's continued concern of cutting costs and wasteful spending, GallowayTwpNews.com will continue to monitor the spending of the Township, including personnel changes within the Departments and the continued grievances filed against the Township.